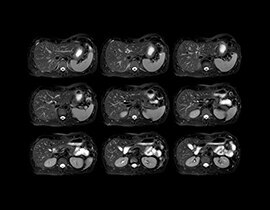 GE Healthcare puts forward visionary MR imaging techniques that can help clinicians gain insight into a patient’s condition with the potential for reducing biopsy, sedation or contrast injection. 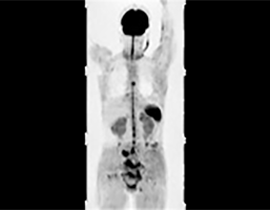 There is growing awareness that many procedures involving needles such as biopsy, contrast injection, and sedation can have potentially dangerous side effects to patients, add additional costs to procedures, and extend patient recovery times. 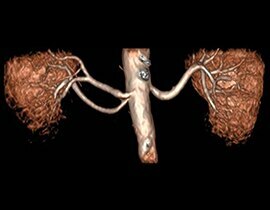 Whether it's assessing a whole liver parenchyma non-invasively, capturing arterial and venous flow in fine detail without contrast or correcting for patient motion to reduce the need for sedation, the Needle-Free Suite focuses on the way MR should be − obtaining clinical results through non-invasive exams. 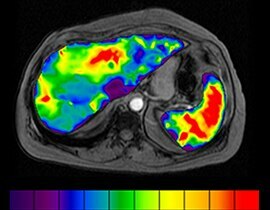 Recognizing a growing need for effective, accurate, repeatable, non-invasive tests to accurately rule out and assess diffuse liver disease, we've introduced IDEAL IQ and MR Touch - advanced tools that allow you to quantify fat fraction and assess tissue stiffness in the entire liver in single breath-holds. 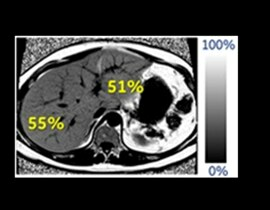 In some clinical cases, these applications can help reduce unnecessary liver biopsies. 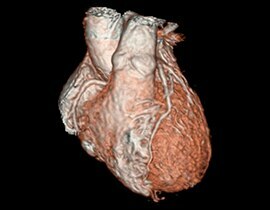 Taking into consideration many of the concerns in using contrast media, we've developed MR applications such as Inhance 2.0, 3D ASL, eDWI and 3D Heart that can minimize or eliminate the need for contrast media injection. This can help improve patient comfort, simplify workflow and reduce cost. 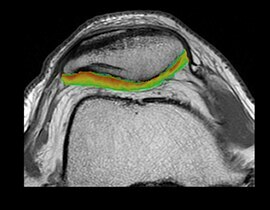 Cognizant of the added risks and costs associated with sedation, we've developed PROPELLER 3.0 to combat motion and susceptibility artifacts anywhere in the body.